Art critic, historian, and writer Martin Patrick, will give a combined talk and book signing at noon, August 30, at the University Galleries, 11 Uptown Circle, suite 103, in Normal. Patrick, a senior lecturer in fine arts at Massey University in Wellington, New Zealand, will sign copies of his 2018 book, Across the Art/Life Divide: Performance, Subjectivity, and Social Practice in Contemporary Art. Books will be available for purchase and signing. A regular contributor to and reviewer for a variety of publications, including Afterimage, Art Monthly, EyeContact, and the New Zealand Listener, Patrick studies critical writing on interdisciplinary practices and experimental uses of media in the contemporary visual arts. His publications include “Performative Tactics and the Choreographic Reinvention of Public Space” in Art and the Public Sphere, “Unfinished Filliou: On The Fluxus Ethos and the Origins of Relational Aesthetics” in Art Journal, and “Restlessness and Reception: Transforming Art Criticism in the Age of the Blogosphere” in Drain. Patrick formerly served as an assistant professor in the School of Art at Illinois State University, and as a visiting assistant professor at the Department of Visual Arts at the University of Chicago. He has been an external examiner in art history for the University of Auckland, The University of Canterbury, and AUT University. 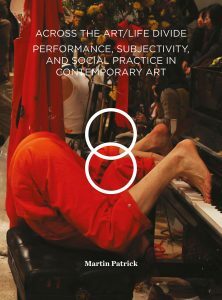 He has delivered his research at many conferences and panels including the College Art Association, Performance Studies International, and the Art Association of Australia and New Zealand. He received his Ph.D. in the history and theory of art from the University of Kent at Canterbury, England, and an MFA in photography from the University of Texas at Austin. This event is co-sponsored by University Galleries and the School of Art. All events at University Galleries are free and open to the public. To arrange an accommodation to participate in this program, please contact University Galleries at (309) 438-5487 or gallery@ilstu.edu.